The Library is an easy-to-use financial resource where you can find anything from soundbytes of our radio show, to eBooks, calculators and much more. New Year, New Tax Law? Scott and Pat of Hanson McClain’s Money Matters advise a caller about the tax advantages of Charitable Giving Account. Caller Paul is about to hit 70½ and wants to know if he should reinvest his required minimum distribution, or pay off his mortgage. Scott and Pat explain to San Diego Jamie how donating her house doesn’t make good financial sense. Scott and Pat speak with a Hanson McClain advisor about an elderly client who was getting ripped off. 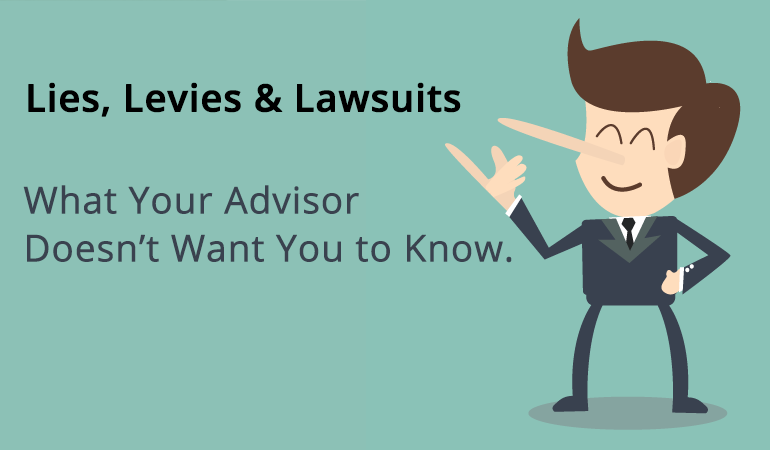 Scott and Pat advise an attorney who has complex money issues but a surprising number of great options. What are the tax advantages of opening an IRA and then immediately converting it to a Roth? Find out what Scott and Pat have to say. When Is Borrowing Money a Good Move? This Hanson McClain’s Money Matters’ caller wants to know his options for funding a child’s college education. A caller to Hanson McClain’s Money Matters is an entrepreneur who is sitting pretty, but he needs a plan to make his windfall last. 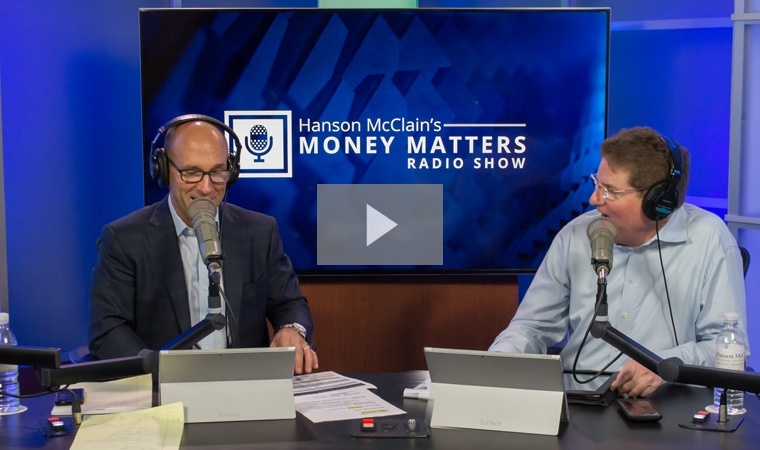 Scott and Pat, hosts of Hanson McClain’s Money Matters, advise a caller who is well diversified and looking forward to the future. Hanson and McClain advise a great saver about the incredible versatility of a Thrift Savings Plan. 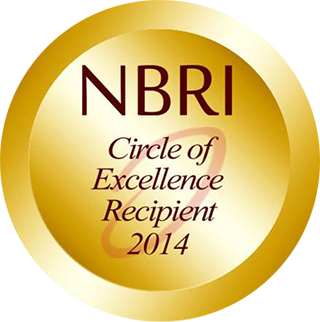 A $500 Return on a $240k investment? Ouch! 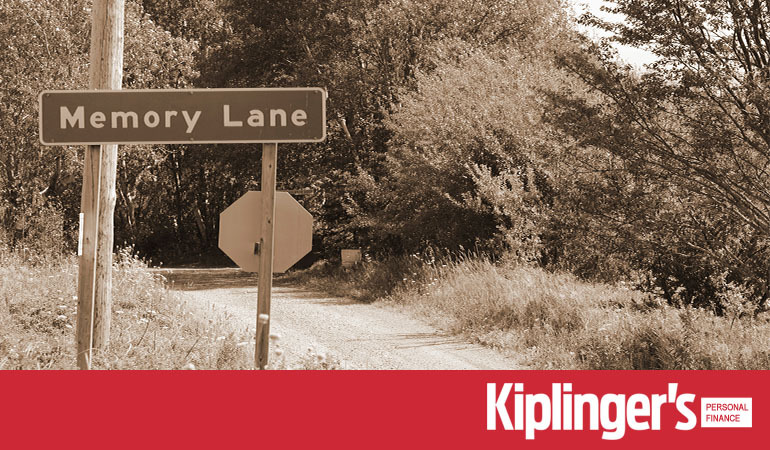 Lynn is frustrated by the dismal return on her savings. Scott and Pat find a way to balance her risk tolerance with her need to earn more money. Scott and Pat help Jim decipher the truth around indexed annuities and when something appears to be too good to be true. 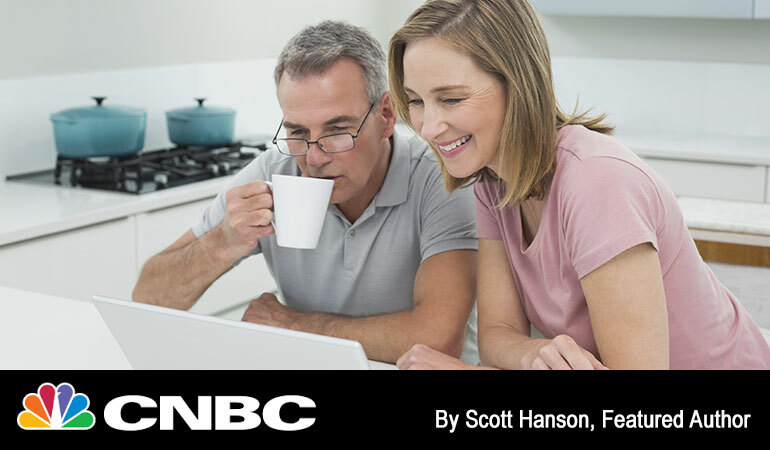 Scott Hanson's CNBC article offers some unique ideas for building a modern retirement plan. 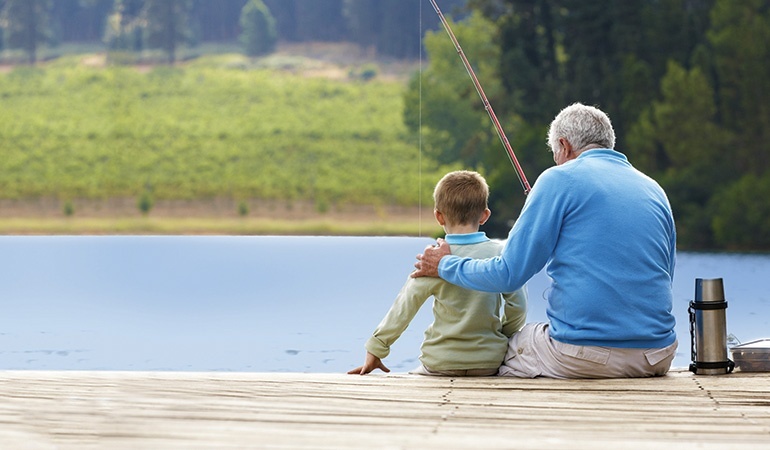 Scott Hanson and Pat McClain advise a son on how to help his 102-year old father invest for the future. 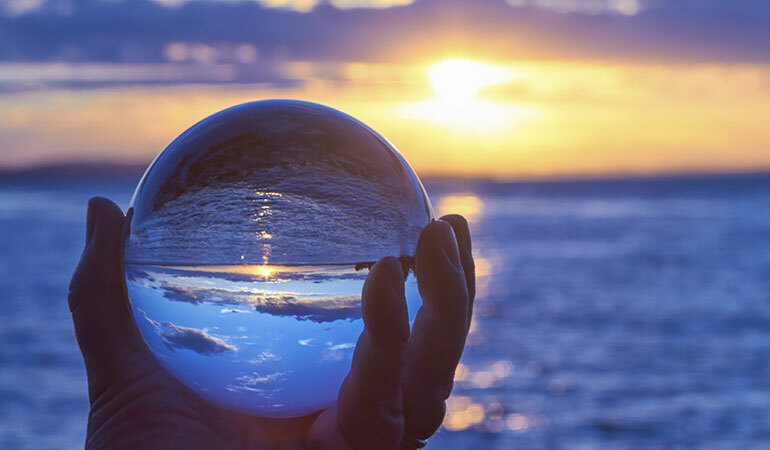 Money Matters' Scott Hanson and Pat McClain work to match a caller's expectations with his possible time horizon until retirement. Money Matters' Scott Hanson and Pat McClain discuss the proper asset allocation for an 80-year old widow. Retirement experts Scott Hanson and Pat McClain explain to caller how a big bank is taking advantage of his elderly mother-in-law, and how he can fix it. 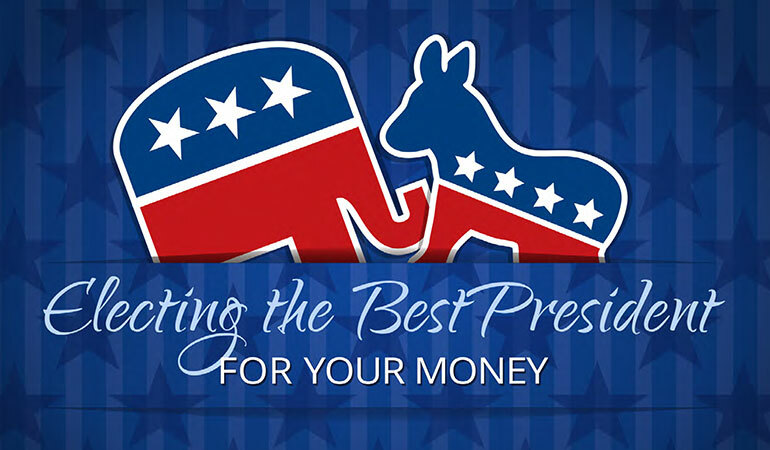 Which political party is best for the economy may be nothing more than a matter of opinion, but don’t let the policies of the next president determine the health of your retirement. Scott and Pat help Dan determine if purchasing a fixed annuity is the right option for an Alzheimer's-stricken father-in-law. 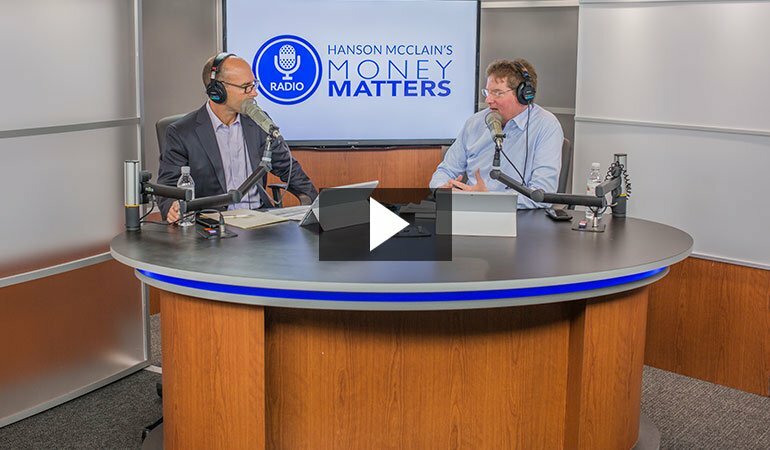 Listen to an excerpt from Hanson McClain’s Money Matters show on January 16, 2016, where Scott and Pat discuss the current conditions of the U.S. markets and the problems we face which are causing market volatility. Join Pat McClain, ChFC®, for this FREE retirement webinar to learn how you can become confident that you'll be able to retire in the same lifestyle you enjoy today. Listen to Scott and Pat explain how Required Minimum Distributions (RMDs) work as they help a caller determine when and how much to withdraw to meet the requirement. Listen to Scott and Pat help a caller review the RMD distribution rules for non-spouse beneficiaries and weigh in on what might be the best course of action with investing the 401(k) dollars. 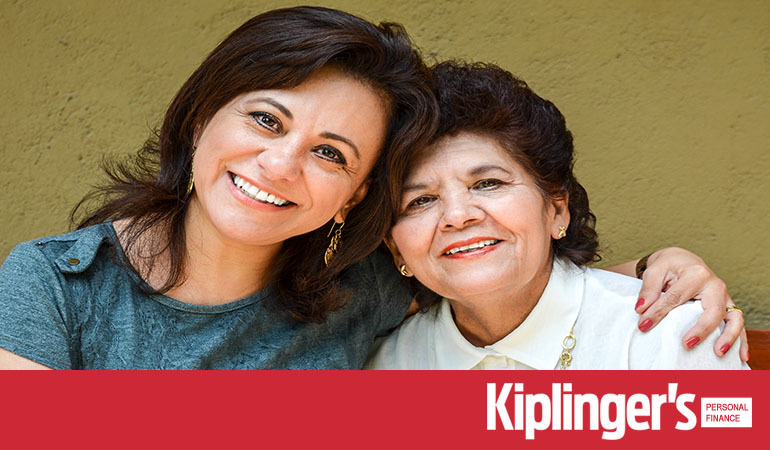 Does an annuity make sense for an elderly parent? Listen to Scott and Pat help a caller determine if an annuity is a good investment for his aging mother whose portfolio has declined in value. Should I invest in REITs? Listen to Scott and Pat explain to a caller the disadvantages and advantages of REITs and Non-traded REITS. 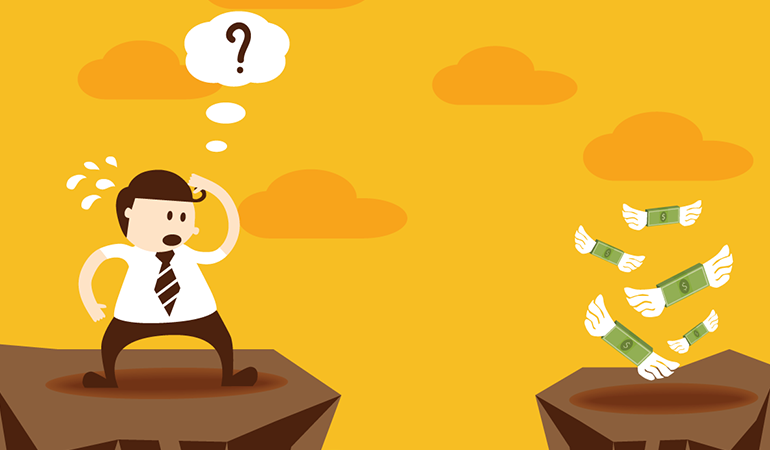 Should you invest in these alternative investments? 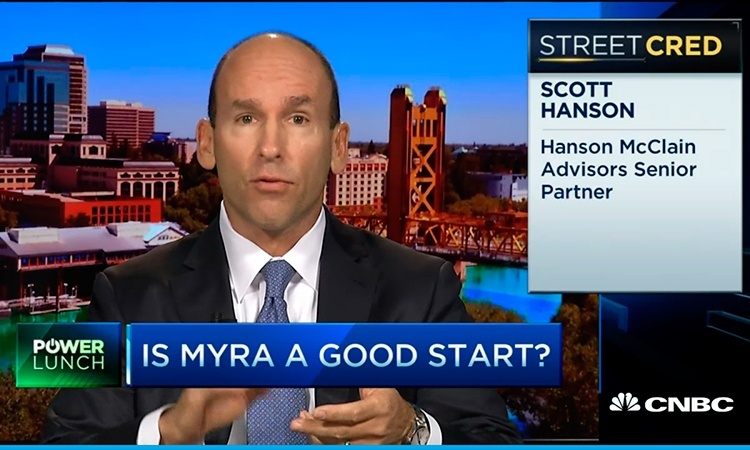 Retirement expert Scott Hanson writes for CNBC about the confusion surrounding President Obama's myRA plan. Do you know what your investment risks are and do they align with your retirement planning goals? 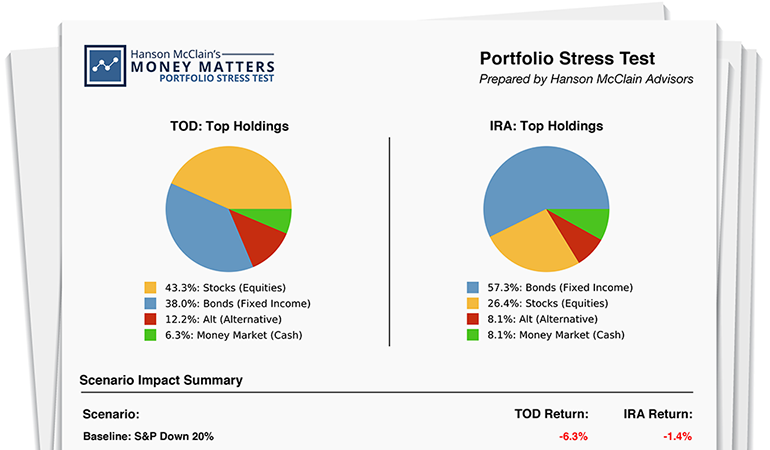 Request your FREE Money Matters Portfolio Stress Test to discover if you are prepared for the unexpected. Does it make sense for me to convert to a Roth IRA? Listen to Scott and Pat help a caller decide if he should start converting his IRA to a Roth based on his taxable income now and in retirement. Financial expert, and Barron's Top 100 Independent Advisor, Scott Hanson, writes about retirement and asset allocation for Kiplinger. A free webinar that contains practically everything you must know about annuities presented by Scott Hanson, CFP® and Pat McClain, ChFC. How do the returns of IRAs differ from Annuities? Listen to Scott and Pat review a caller’s annuity and IRA account to evaluate whether the returns are what can be expected. Watch this FREE webinar hosted by Scott Hanson, CFP®, to help you gather the information you need to research to learn the background of your investment advisor. Join Scott Hanson, CFP®, for this FREE retirement webinar to learn what you can do to allocate your portfolio in a way that protects you and your family. Hanson McClain Advisors has developed the 7 Personal Decisions Points to help you prepare for retirement transition. Financial expert Scott Hanson writes about inheritances and stock liquidation. Should I keep or sell a real estate inheritance? Listen to Scott and Pat help a caller decide if he should hold on to a property he recently inherited or if it would make more sense to sell it. Is a Fixed Index Annuity a good investment? Listen to Scott and Pat help a caller understand how a Fixed Index Annuity works, and if the investment is worth the rate of return. How should I allocate my 401(k)? Pat and Scott discuss with a caller about her 401(k) investment options due to changes that her employer is making to the plan. What Should You Do with a 401(k) When You Retire? Scott Hanson talks about retirement and 401(k) allocation. How Can I Research the Quality of My Financial Advisor? Scott Hanson discusses how to run your own check of your financial advisor. Scott Hanson and Pat McClain, co-hosts of Money Matters, discuss building cash reserves within a univeral life insurance. Scott Hanson and Pat McClain, co-hosts of Money Matters, discuss how we live in a complicated financial world. What is a Fee-Based Advisor? Scott Hanson talks retirement and compensation models for investment advisors. 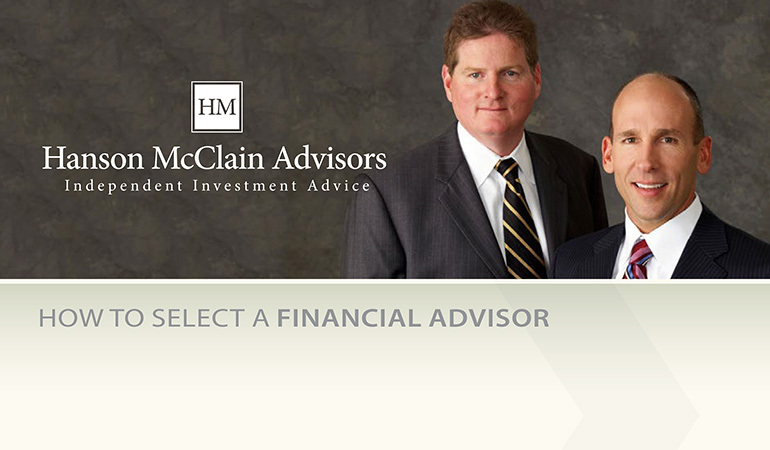 Download Hanson McClain's "How to Select a Financial Advisor" FREE eBook to find an advisor that best meets your retirement needs and goals. 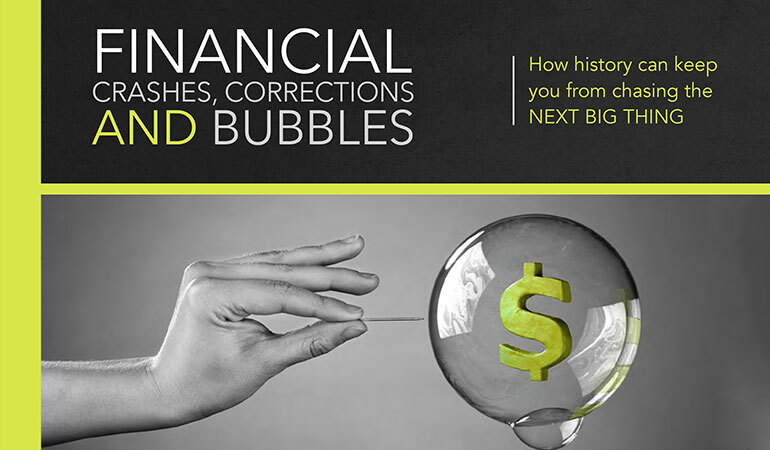 Inside this FREE eBook, Hanson McClain takes an in-depth look at some of the world's most infamous financial crashes & the behavioral finance that caused them to crash. Scott and Pat discuss the possible dangers and risks to investors regarding non-traded REITs. Am I Investing Correctly for Retirement? Scott Hanson and Pat McClain, co-hosts of Money Matters, help a caller with his retirement planning questions. Investment advisor Scott Hanson talks about how rates of return impact retirement preparation. 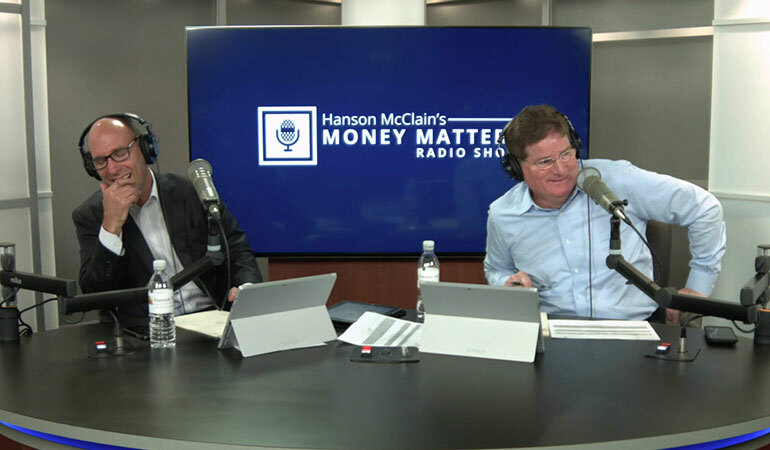 Scott Hanson and Pat McClain, co-hosts of Money Matters, review a caller's current investments, assets, and emotional discomfort to help him with his investment choices. How does a Longevity Annuity help defer Required Minimum Distributions? 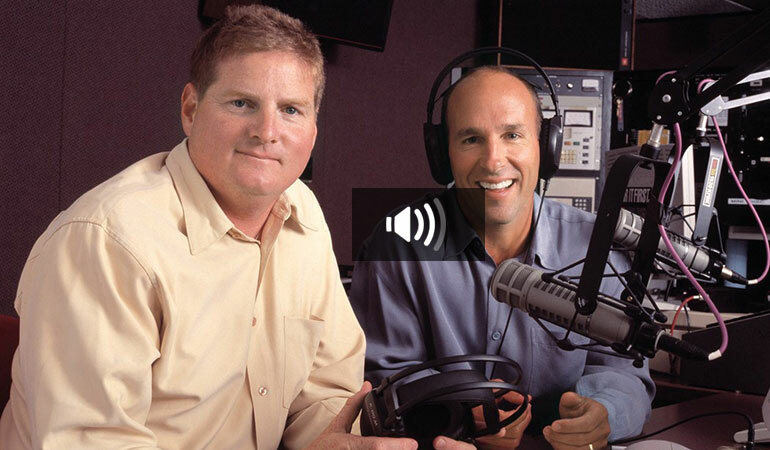 Scott Hanson and Pat McClain, co-hosts of Money Matters, discuss how a Longevity Annuity works. 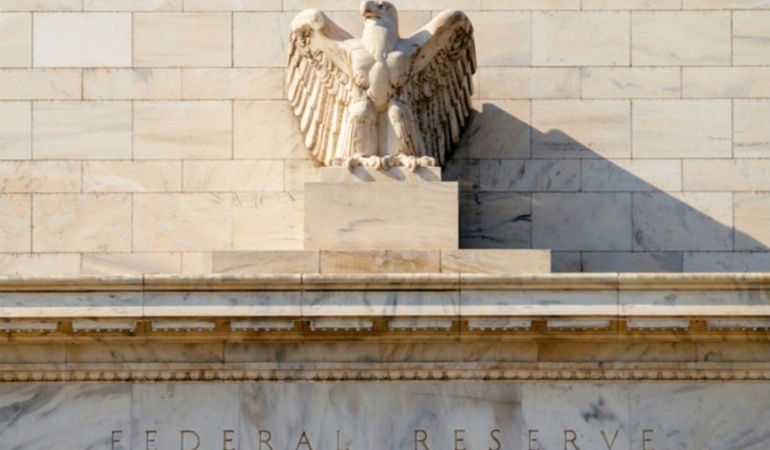 In this month's Hanson McClain Newsletter learn if quantitative easing is a brilliant fiscal policy or an economic time bomb. 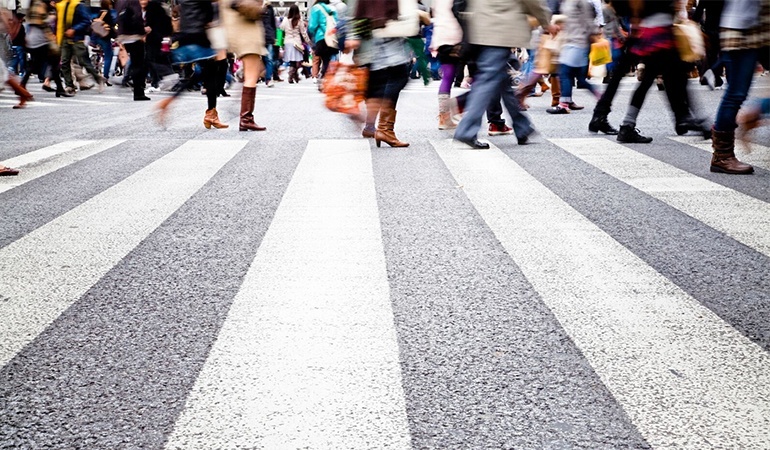 Learn how population declines in developed countries could alter your retirement plans.